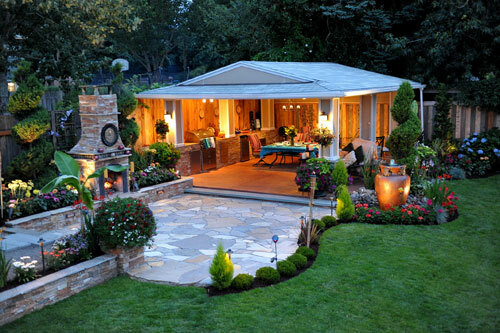 The latest trend if you haven't noticed is to take your indoor living areas and duplicate them outdoors. That way you expand your living space, continue with the things you like only outside instead of inside and stretch your creative juices when it comes to designing a living area. When you think outside the BOX you can create a space that is both beautiful and functional and not break your bank account in the process! In today's decorating climate, manufacturers are competing with each other to see who can provide the best products that lend detail and function - all at a reasonable price. From outdoor lighting, furniture, kitchens, fireplaces, and decorative items like garden planters, statuary, garden art and more. 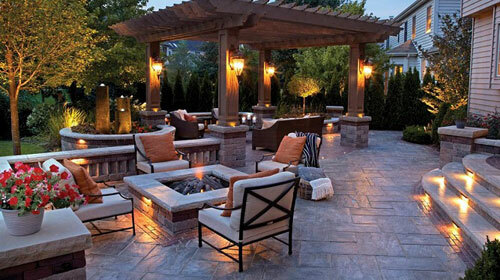 The whole idea is to take your entertaining outdoors and make it fun and exciting. 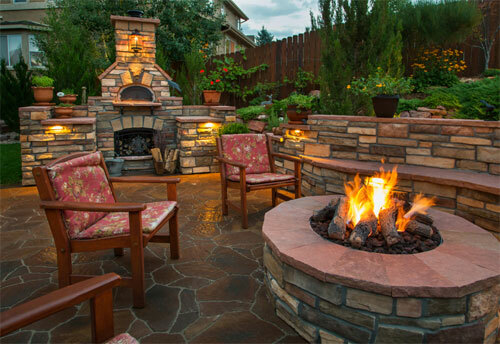 People are cooking in outdoor kitchens, conducting business in outdoor office space, using outdoor showers & entertaining in outdoor living spaces. 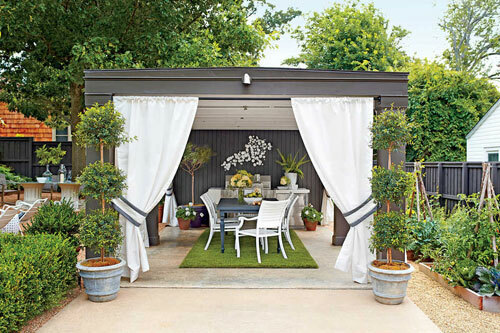 Homeowners are pushing their exterior spaces to levels unimaginable just a few years ago. Remember when a couple of lawn chairs on a wood deck or concrete patio were the norm? Well those days are long gone. Will you be cooking outside, do you need a shower by the pool for cleaning off? How about a table for eating or lounge chairs for sun bathing? Will you be outside after dark, then pay attention to the lighting. This includes candles, tiki torches or solar lights tucked into garden planters. When deciding which direction to go, don't just stand at the back door and look out into the yard. Get out there and move around. Try to make the most of what you have to work with. Once you get the large pieces placed then it's time to move on to the decorating items. 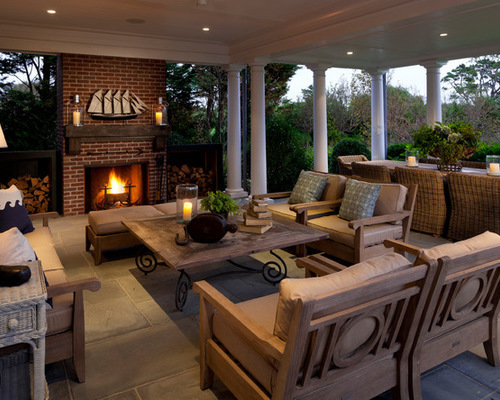 Place large beautiful garden planters around the border of the seating area to add character and function. Plant them with sweet smelling annuals and lush green plants. They help to compartmentalize the area and create a comfortable, cozy feel. Use plants that attract butterflies & humming birds. Get exotic and add a flat panel TV, lush drapes and a stereo sound system. From James Bond gadgets to the comfiest sofa on which to catch a snooze, products to enhance outdoor living continues to thrive. Why keep waiting to go on a great vacation when you can just walk out into your back yard and recharge in only 5 mins.